50 women from various backgrounds across Fiji gathered today to be part of Fiji’s first ever “Women’s Parliament Fiji”. The initiative is organized by the Fijian Parliament in partnership with the United Nations Development Programme (UNDP) and is supported by the European Union and the Governments of New Zealand, Australia, and Japan. The Women’s Parliament takes place from 16 – 18 August 2016. The 50 women participating in the 2016 Women’s Parliament Fiji were selected by a Steering Committee made up of representatives from the Ministry of Social Welfare, Women and Poverty Alleviation, National Council of Women and Office of Secretary General of the Fijian Parliament. The idea of facilitating Practice Parliaments for women was first proposed in 2010 at a Pacific Islands Forum Small Island States Meeting on “Advancing Women’s Participation in Decision Making Processes”. The Practice Parliaments are designed to fill some of the gaps in the existing efforts to support women’s political participation by developing a broader set of skills and by giving women participants the opportunity to immediately apply those skills. Ambassador Andrew Jacobs, Head of the Delegation of the European Union for the Pacific, remarked, “Parliament has a fundamental role to play in ensuring sustainable and equitable development. Women parliamentarians are needed to ensure that the needs and interests of all parts of the population are represented”. Ms. Christina Munzer, Counsellor, Development Cooperation, Fiji and Tuvalu said, “The Australian Government is proud to support this important initiative in partnership with Fiji Parliament, UNDP and donor partners. 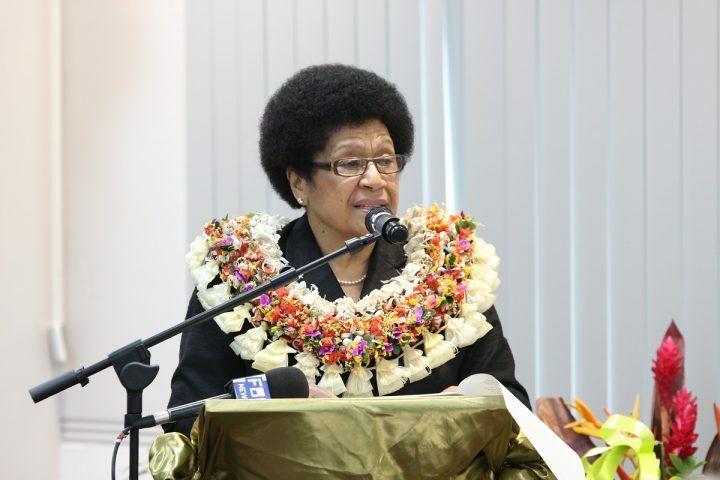 The Fiji Women Practice Parliament will help to further advance women in political and decision making spheres. I wish all the participants success”. Mr. Tsuguyoshi Hada, Chargé d’Affaires (Acting), of the Embassy of Japan congratulated the participants on Fiji’s first ever ‘Practice Parliament for Women’ and said that the experience of the participants would count as an accomplishment for every woman in the country. He remarked that Japan will continue to support democratization and nation building in Fiji.